Here is part two of my look at the many plans for Eltham in coming years. A bit later than expected so sorry about that. The most interesting proposal is a six screen cinema in a new building on the High Street combined with two restaurants. The former co op store, now a poundland, will be demolished and replaced with a new four storey building. Greenwich council took the rare step of buying the site in 2012 and agreed to build a cinema last November. Planning permission went in this week. 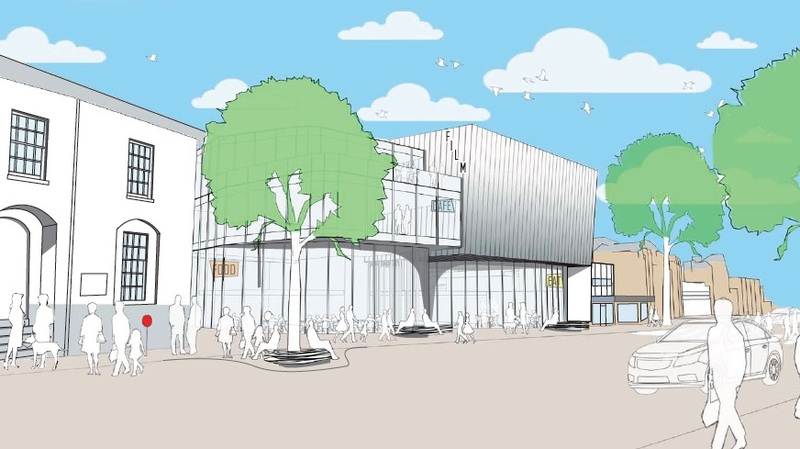 The cinema proposal is part of a plan for Eltham town centre which aims to boost the High Street’s economy and encourage more people into the town in the evenings. A cinema with two restaurants in the same building at street level, and new high quality pubs in improved public spaces should certainly help in that aim. 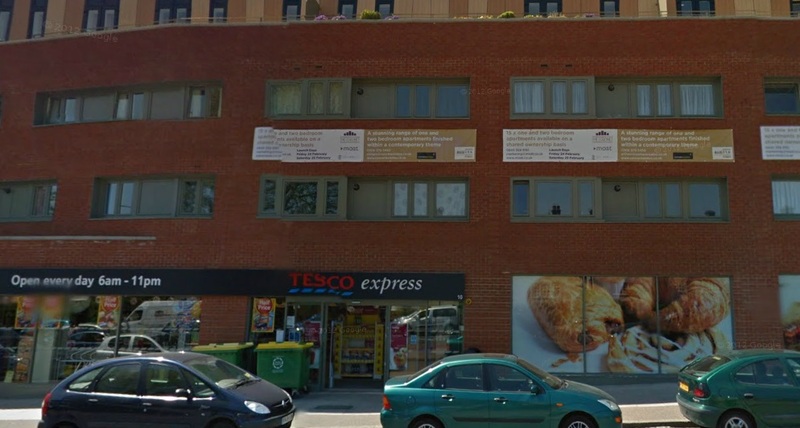 The council is to be praised for taking the initiative here and stepping in to buy the site. It is something unlikely to happen if left to the market. It’s a rare thing in the modern age for a public authority to take such a step but after many lethargic developer failings over the past 20 years it is something that is to be encouraged. Of course, it could go very wrong and cost taxpayers a fair sum. I’m sure there are many who think the public sector should never get involved in such things. But I think they are onto a winner here and it will be a big success. Waiting for private developers to get to this stage would likely take many years, if at all. With the ridiculous cost of land in London today barriers to entry for newcomers are vast. That’s something that national government needs to fix, and looks very unlikely to, so the local authority needs to do what it can within the constraints. Eltham is a short hop from Woolwich, Kidbrooke and Lewisham, which are all having thousands of new homes constructed and will provide a huge potential market along with the existing population. Just down the road is a good example of such failings at the site of Eltham’s former cinema, which closed in 2000. 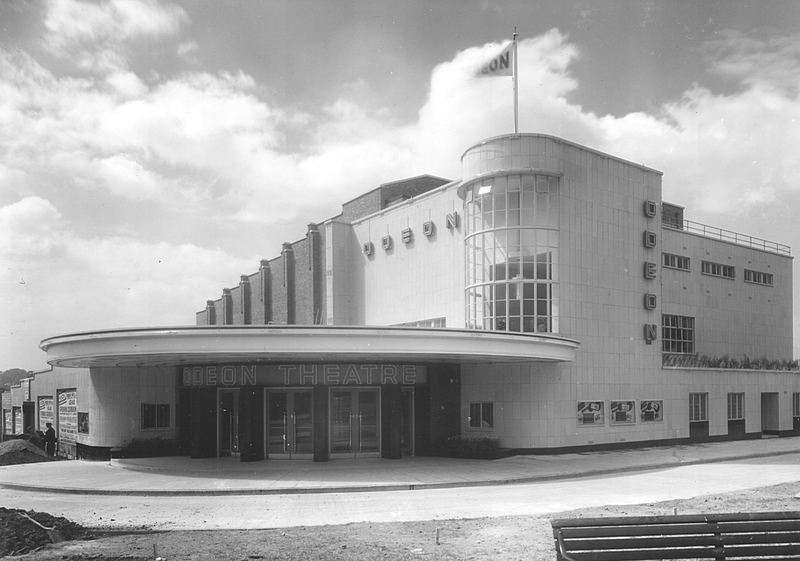 The former Odeon, then Coronet cinema, was a wonderful art deco cinema. It was a building of great character and a landmark in area. Developers Cathedral group bought in 2000. Part of the plans were that the cinema would return. However no cinema returned. Instead it is to become a gym. And the housing element took 10 years to build 58 homes. And what they did build was awful. Look at those atrocious windows. They look like bands that belong on the exterior of a category A prison. You can imagine bands of cells behind. They have massive frames for small windows. Cathedral chose the dreariest colour too. You’ll notice it differs slightly from the render below. And the reality below. Many cut backs, or ‘value engineering’ to be seen. This kind of cheaply constructed and barely designed building has been all too common over the past 20 years due to minimal standards and regulation. Things like those small windows were allowed as regulations on minimum window size and natural light were abolished. Fortunately many developments over the past 5 years have shown real signs of improvement and regulations, similar to the Parker-Morris standard abolished in the 1980s, have been re-introduced in some types of housing. Basic elements like good proportions are now more in evidence. It’s a shame that in Eltham a prime site, facing onto a busy street, has been lumbered with this. And the length of time taken to get to the construction stage reveals the many flaws in the UK housing industry in recent decades. Cathedral sat on it without building for 10 years. When they did they produced an awful building at bare minimum cost. This is why developers need to be fined if they buy land and do not build within a set period. There is a massive need for housing and local authorities have extremely limited abilities to build by law. But private developers are constructing half of what is needed. Last year just 125k homes were built. This has not just occurred after the 2008 recession that house builders and many politicians like to claim. Developers did not build enough in the 20 years even before the credit crunch, when they could source funding easily for construction, and credit was available to buyers with minimum checks or deposit. If developers overpaid for the land before 2008 then that’s tough. If forced to sell others will or should be permitted to buy – private or public. With lower land prices smaller developers can expand, and new ones enter the market. Free the shackles of local authorities who should be able to borrow to build. This could be Greenwich council or the Greater London Authority. A reduction in over-inflated land prices would see lower and more sustainable house prices. Lower rents as well for businesses looking to open up, which would add to the vitality of local areas. Currently developers charge extortionate commercial rents to cover the high prices they paid for land. Hardly any units are then taken and those that are belong to the same old mass chains. More often they are vacant for a year or two and then converted into a couple of units of housing and increases the sterility of new developments whilst vitality and convenience suffer. Eltham station will hopefully be utilised by people coming to the cinema. The massive Kidbrooke and Lewisham developments have great rail access to Eltham. It’s a very short trip on the train from both. Timetable and frequency improvements are required. Later evening trains would be needed to help prevent people having to rush from the end of a film or a drink to the station. The last train from Eltham to Lewisham and Kidbrooke is 11:12pm. With the tube becoming 24 hours on weekends from 2015 serious consideration now needs to be given to later trains. This will be very hard to achieve whilst London Bridge is rebuilt up to 2018 but after completion is a must. People increasingly work varied hours, and with the evening economy growing all the time later transport is needed. South East London already suffers from terrible frequencies that the rest of London doesn’t have to put up with, such as just 2 trains per hour in the evening on the Eltham line. Early finishing trains whilst many other areas enjoy later weekend transport would be another insult. The demand is already there and will only increase. The station doesn’t provide the best introduction to Eltham. It is laid out like a major junction which I assumed it was. Looking on google maps though it appears not, with one main road (Well Hall Road) intersected by one minor road and the station bus stops. Maybe locals could help, but is there scope to alter this junction into a less ugly, and more welcoming introduction to the town? It doesn’t appear to be pedestrian friendly. It is located above the major A2 road so scope to improve is limited and probably not the most pressing concern. Small scale interventions to improve attractiveness and accessibility would however be welcome. The Eltham masterplan includes a few other bits which will be of interest. One is the possible closure and relocation of a Roper Street school. 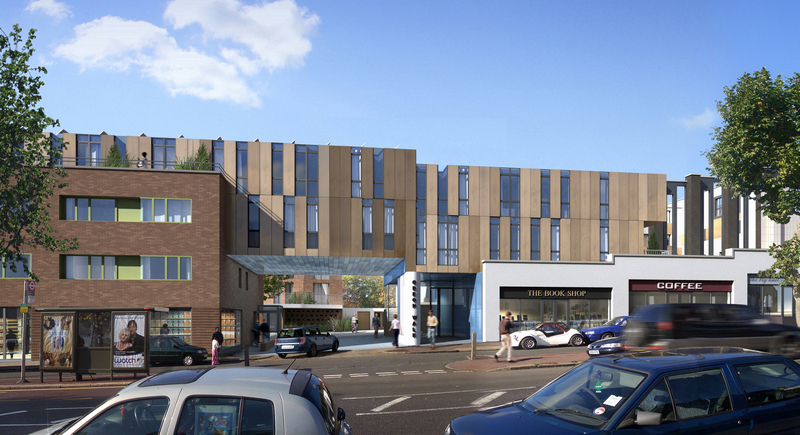 The future appears bright for Eltham. Last time I visited it seemed a town with declining fortunes and a night out in a couple of pubs left a lot to be desired. Now though with £5 million to improve the high street, a new cinema and restaurant building and better pubs, along with new developments increasing the town centre population, the future seems positive. Eltham’s future is looking decidedly less sunny after this evening’s Council Planning Committee meeting in which Chris Roberts strong-armed the moral weaklings on the panel to agree to a cheap and poorly conceived 8 story tower block on the former Grove Market site, the rationale being that the previous development plans had been approved on appeal. The previous development plan had been approved largely as it contained sizeable commercial premises and a hotel which were to serve the area for the 2012 games; it was felt that the economic benefit outweighed local concerns. The hotel, which would not have been sustainable, was never built, the land never developed and the plot sold to a newly minted company at a knock-down price. This time around the bargain basement flat-pack design blocks do not include a hotel and only a small commercial space, whilst 144 flats have been crammed into a small plot of land bordering a conservation area. The application contravenes countless Greenwich Council planning rules. There are only 49 parking spaces for 144 flats. 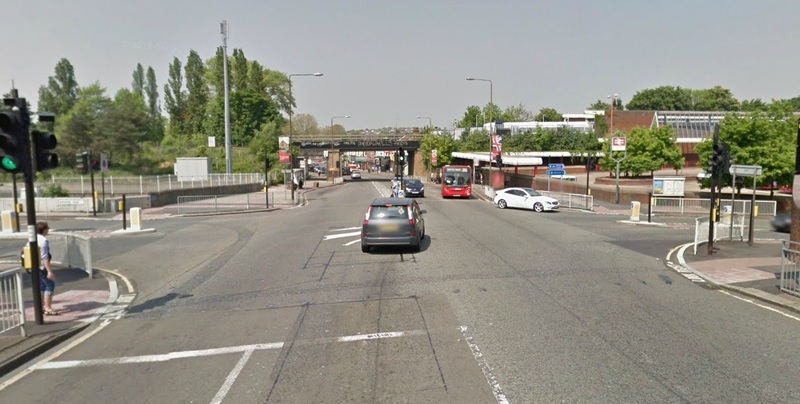 The entrance/exit to the site is on one of the busiest junctions in SE London. One has to ask what’s in it for those who pushed it through in the face of unprecedented local opposition including all ward councillors and the local MP, and not one local voice in favour. A shame and a scandal.